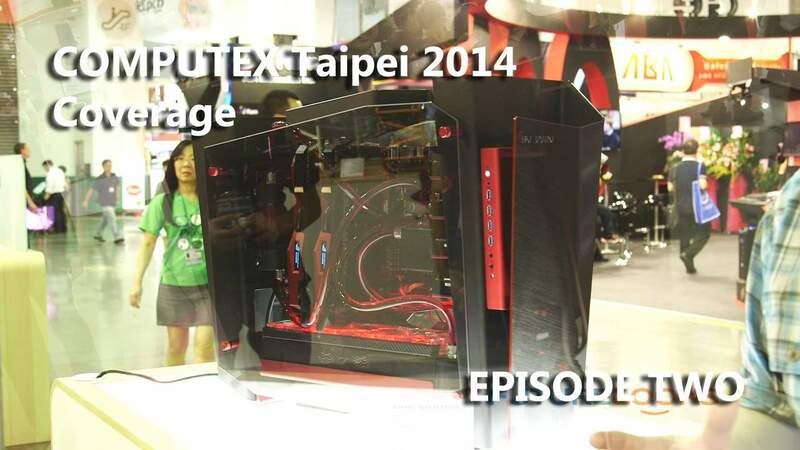 Continuing our episodic COMPUTEX 2014 Taipei coverage, we have Episode Two, which is packed with more PC DIY goodness from the show floor and around the convention. In this video, we're covering new products from be quiet!, ASUS, In Win, BitFenix, ADATA and NZXT. The run time for this video is around 25 minutes, so combined with Episode One, it's perfect for binge watching. And when you're done, you can look forward to Episode Three coming up really soon. 00:34 - We hit the be quiet! suite at the Taipei W Hotel again, to see another new product. The new Pure Rock Cooler is a new series of coolers that brings be quiet! 's quality, to a much lower "fighting" price point. 02:11 - ASUS had a slew of new motherboards, including a new ROG board for those AMD fans out there. They also had a new Formula and mini ITX ROG board, as well as a new "white" board that is part of their TUF series. And for folks with older boards without M.2 SSD support, they have a solution for that as well. 08:59 - After giving you a sneak peek at the new In Win D-Frame Mini, we've got another look at a new case that is set to blow your socks off. The new In Win S-Frame chassis is yet another statement case, that will have jaws dropping. At $899 CAD/$799 USD, the S-Frame isn't the company's most expensive case, but it is extremely striking with its single piece folded design. 12:08 - BitFenix was also at COMPUTEX 2014, and they are looking to shake up their image with a trio of new cases. The Pandora is a new case, that has a distinctly different design from previous cases, with rounded edges, and more of an elegant look. The new Aegis takes water cooling to the next level, in a mid-sized tower case, supporting mini ITX and mATX boards. Finally, their new Pandora is box of goodness, with a new distinctive dual chamber design, and a lot of customization and use case scenarios. 17:13 - ADATA was showing off their new V3 XPG gaming memory design, plus a new heat spreader design specifically for their DDR4 products. Whenever they launch. They also have a trio of SSDs including a value oriented SP610 series and a new higher performance SP910 series. The company also has two new M.2 SSDs to show off. 20:20 - NZXT talks about their new CAM monitoring software, and some new products that take advantage of it including their new Grid+ controller. They also show off their new KRAKEN series of all in one water coolers that work with the new CAM software, and employ a new pump and fan design for higher performance. And that's it for Episode Two of our COMPUTEX 2014 coverage. In case you missed it, Episode One is available for your viewing pleasure, and don't forget to come back for Episode Three.